This week’s TV show features a band from England, The Black Feathers. I am so grateful we were invited by Dr. Lou to record Ray & Sian at Dr. Lou’s Place on Easter Sunday. They are a wonderfully talented duo and great people. You won’t want to miss this show and their incredible harmony. Plus in the interview, you’ll love the British accents! We also have a message song from our producer Bill with Artisan, warning to not drink & drive. Then we will get you in the mood for our upcoming anniversary concert with a new song from No Commitment. Yes, Bill has decided to turn the concert with 4 young bands into our 19th Anniversary Concert! And the date is June 8, exactly 19 years to the day of the first Inside Music Today broadcast! With the assistance of Mark Oberstaedt, one of the dads of the No Commitment band, we have secured Croft Farm in Cherry Hill, NJ for the venue. Thank you Mark for all your help. This would not be a reality without you! Our April 20th show has performances by Count Josephine Band, John Cantamessa, Dave Weber with Donna Delany, Box of Roxx and Dr. Lou & the Privileged Few. Be sure to patronize our sponsors who help keep original local music on the air! IMT must be in the midst of the late-winter blues with these unfortunate happenings, the latest being the cancellation last Wednesday of our first full TV taping of Bucks County Open Mic Night at Pasquale’s in Levittown, PA. The evening was cancelled due to the weather forecast. But that weather never really did materialize. We apologize to all who were looking forward to performing that evening. But as far as I know, it is rescheduled for this coming Wednesday, March 13. Hope everyone can make it out! This week’s show, featuring The ‘Rents and Crazy Raymond and the Watchdogs, is a bit different due to the extended interview with Raymond Tabano. But I think everyone will find the show very interesting and informative. Next week we decided to give you all a sneak peek of one new idea for an upcoming In Concert Road Show. We have combined in one show, four of our most talented young bands. Volt, If All Else Fails, Half Daze and No Commitment. Would you like to see all these bands in one concert? We would like them to agree to be a part of a very special concert. Let us know if you would come out to a concert featuring these talented young artists. In order to choose the perfect venue for the concert, we need to know our audience. So please, call us, e-mail us or go to our facebook page, and let us know if you would come to an event like this. With input from our audience, you can help us make this a really great show! We haven’t been in touch with No Commitment in awhile, and in going to their site I found out they have been very busy. The lead singer Zach was actually on American Idol last month! Congratulations, Zach! 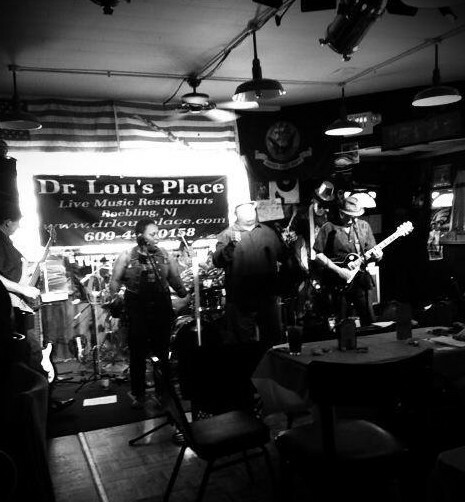 Finally, on Sunday from 2 PM to 8 PM at Dr. Lou’s Place, the Good Doctor is hosting a fundraiser for the victims of a recent hotel fire in Pemberton. Please come out to Dr. Lou’s Place on Sunday and support this great cause. Dr. Lou has the biggest heart in the world. Just in the short time we’ve known him, he has had many fundraisers to help those in need. So please come out and enjoy some great music and wonderful food. IMT will be there also. I know we’ll all have a real good time and help someone along the way. All the other news will have to wait until next week. It’s supposed to be a beautiful weekend, so get out and enjoy! Thanks to everyone for watching IMT! Remember to thank and support our sponsors!